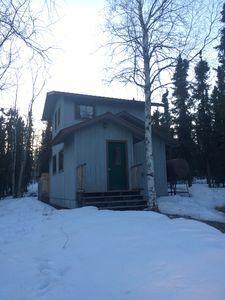 The Carlo Property is located just 15 minutes to Denali National Park. 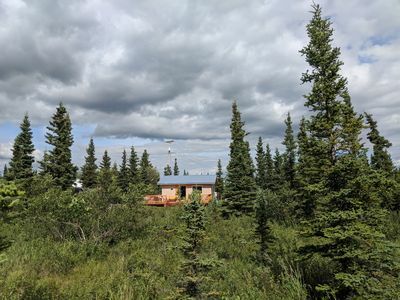 A beautiful 3 wooded acre property catering to families and small groups that want to be close to Denali, but away from the crowds with all the luxuries and amenities of home. Three options available; The Carlo House, The Carlo Guest Cabin, and the Carlo Loft. 2. 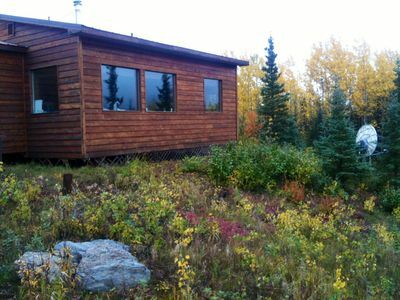 The Carlo Guest Cabin-A cozy 850 sq/ft (2BR/2BR) home that sleeps 6. 3. The Carlo Loft-A 420 sq/ft studio apt that sleeps 2. 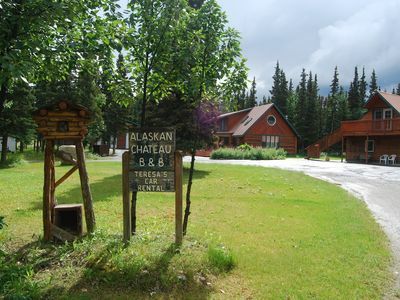 Located at Mile 224.5, just 13 miles (15 minutes) south of the Denali National Park entrance. An ideal location, away from the busy park entrance, yet easy access to the park and all its activities. A (3) three bedrooms, (2) two full baths, washer/dryer, custom kitchen with stainless steel appliances and all the essentials of home. 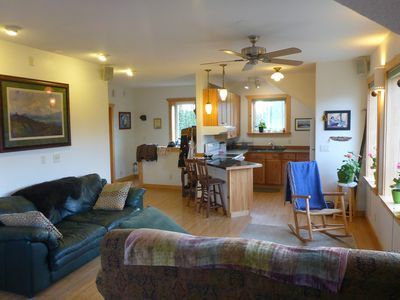 The cozy living room has a small sofa and chair, wood stove, cable TV, DVD player w/movies, Wi-Fi, and telephone. 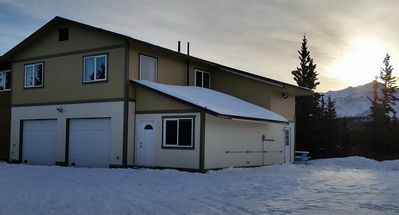 There is a grassed yard with stand alone SAUNA, a fire pit (great for smore’s or watching the northern lights in mid Aug on) and green house . There is a covered outside dining area and a BBQ gas grill. 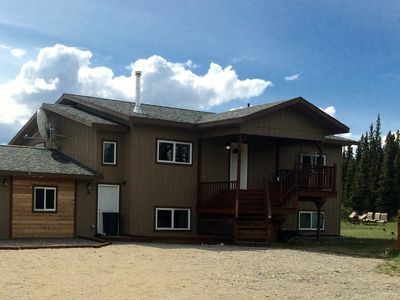 The Carlo House is a 5 minute walk from our main property McKinley Creekside Cabins & Café. Complimentary Wi-Fi. 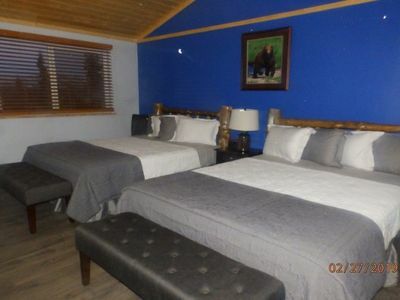 *Two bedrooms - One bedroom with (2) queen beds, and a small bedroom with (1) double/full sized bed. *The full bathroom has a washer and dryer for your convenience. 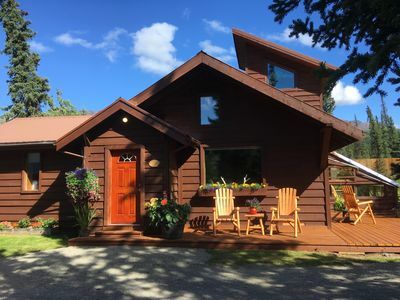 *Cozy living room with a small sofa and chair, wood stove, telephone for local calls, TV, Satellite cable, DVD player with movies, board games and cards. *Custom Kitchen with stainless steel appliances and all the essentials of home. There is a small bar counter w/two stools for seating. *Wine chiller in the kitchen. *The dining area is a covered outside deck with a beautiful exotic wood custom table w/bench seating and a gas grill. *Oak hardwood and tile floors. (1) King bed, TV, Satellite cable, DVD player with movies, and a sitting area. A luxury bath with antique claw foot tub, separate tile & glass shower and amazing panoramic mountain views! There are three deck areas with seating, and outdoor dining with a gas grill. 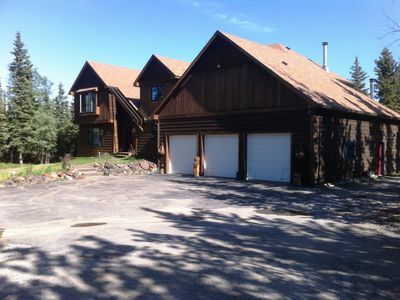 You will enjoy a grassed yard, sauna, green house, and a campfire area for evening get-togethers. RATE: $599nt + 7% bed tax. Max. 8 people. *BONUS-No cleaning fee applied as long as trash is removed & kitchen is thoroughly cleaned incl. dishes. 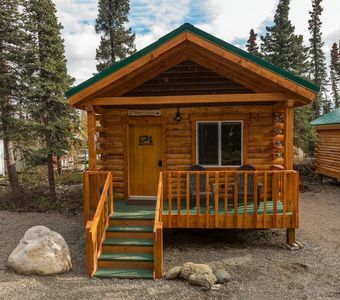 A 850 sq/ft cabin with two (2) bedrooms and (2) bathrooms. 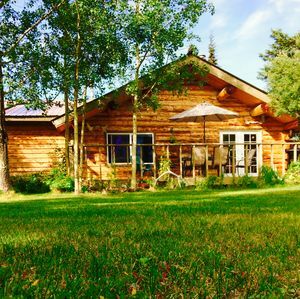 The “Carlo Guest Cabin” is located on the same 3+ acre wooded property as The Carlo House, and Carlo Loft, a 5 minute walk from our main property McKinley Creekside Cabins & Café. Complimentary Wi-Fi. *1st bedroom has one king bed. 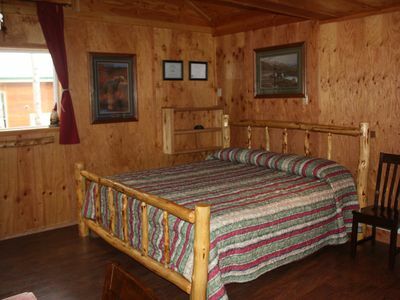 *2nd bedroom has two queen beds with a full private bath. *There is a second full bathroom. *A Small living room with a futon/sofa, TV with satellite cable, DVD player w/movies, board games and cards. *A complete kitchen has all the amenities and essentials of home with a dining table and chairs. *There is a washer and dryer for your convenience. *An outside deck with seating and a gas grill. *RATE: $479nt. + 7% bed tax. Max. 6 people. *BONUS-No cleaning fee applied as long as trash is removed & kitchen is thoroughly cleaned incl. dishes. A 420 sq/ft studio apartment and the newest addition to our house rental options. It is a studio apartment with one King bed, full private bath, kitchen (stove, microwave, refrigerator, coffee maker, toaster) and a TV. 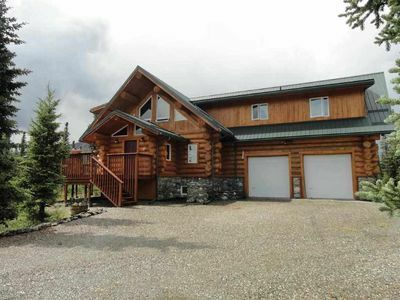 Ideal for couples that want more privacy, space and amenities. There is a small deck with lovely mountain views. 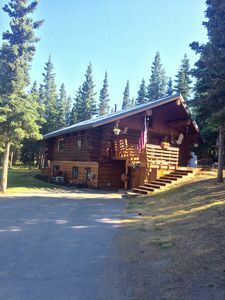 It is located on our Carlo property, a 5 minute walk north from our main property McKinley Creekside Cabins, however you will drive and park near your room. Complimentary Wi-Fi. Max. 2 people. Rate: $289nt. +7 % bed tax. Max. 2 people. *BONUS-No cleaning fee applied as long as trash is removed & kitchen is thoroughly cleaned incl. dishes. However you decide to spend your day, we have no doubt you will enjoy the setting, location and comforts of the “Carlo Property”. 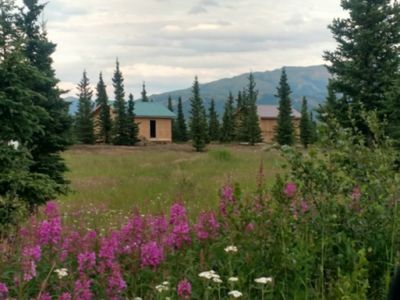 Owned and operated by McKinley Creekside Cabins & Café. There is a full service restaurant, The Creekside Cafe', located a 5 minute walk..
Open: mid May-mid Sept. / 6am-10pm daily. A small grocery/liquor store & gas station are located 1/2 mile north of the park entrance. 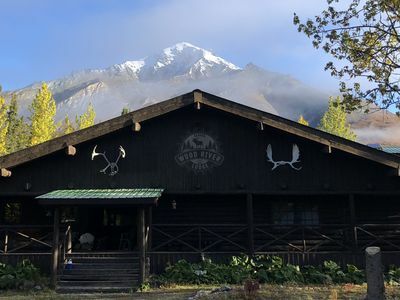 You can also pick up any snacks/food/beverages in either Anchorage, Wasilla or there is one more store “Cubby’s” ½ mile south of the turn-off for Talkeetna at mile 99 (approx. 2 1/2 hrs. 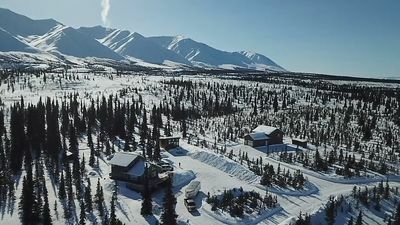 south of Denali). Due to a short visitor season and high demand a 1 night deposit is due at booking and the balance will be collected 45 days prior to check-in. A 61+ day notice for a refund less a $25 cancellation/processing fee per rental, a 45-60 day notice is required for a refund, less $150.00 cancellation/processing fee, within 44 days it is non-refundable. All no-shows and early checkouts are charged full amount of reservation. We highly recommend travel insurance. TRANSPORTATION *You must have your own vehicle as NO shuttle/taxi service is available to/from our property. 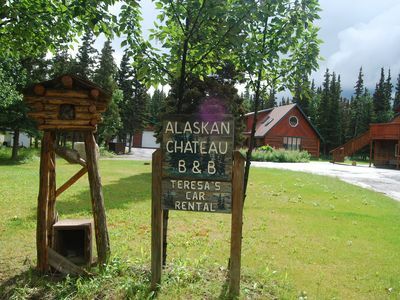 We recommend you rent a car in Anchorage to drive to Denali. It is a scenic drive that will take approximately 4.5 hours. 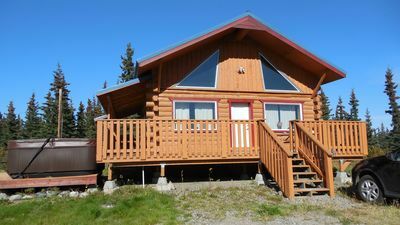 This will allow you the freedom and flexibility to explore at your leisure and to stay at smaller properties such as McKInley Creekside Cabins & Cafe'. If you decide you would like to take the train we recommend you rent a car from Keys to Denali, a local operator.